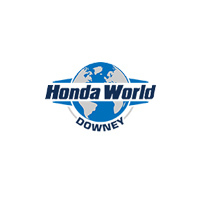 Interested in trading in your current vehicle to help save on a new Honda or quality pre-owned vehicle from Honda World Downey? Feel free to use our convenient trade-in value calculator below for an estimate on your current vehicle. Simply fill out the needed information and you’ll be given a quick estimate that you can use to help determine your potential monthly payments. If you have any questions or would like to know more about your auto loan or car leasing options, contact us now and one of our helpful finance experts will be happy to assist. Or, if you are anywhere in the Los Angeles County, CA area, including Lakewood, Buena Park, and Paramount, CA, make the short drive down and visit our dealership to get your easy car buying process started right away!